Our hearts grieve for the tragic loss of so many lives and the irreparable devastation of so many others. If we are ever to stop these tragedies there is much work to be done in the laws of gun ownership, and in our treatment of the mentally ill. But there is only one change we can make that will make the change. We need to turn our culture from one where violence is encouraged in war, used to entertain our children, and viewed as an acceptable answer to conflict, to one where we embrace peace, respect one another, and arm our children with the most important tool for their future, compassion. In the aftermath of the terrible tragedy at Sandy Hook elementary school, Glenn Beck tweeted that communities are suffering because of "lack of self control [and] personal responsibility." 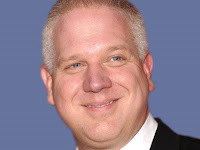 Like his buddies at the National Rifle Association, Beck's uncompromising views on gun control means that he has blood on his hands yet again. What Lawrence O'Donnell says about Wayne LaPierre below could transfer almost completely to Mr. Beck. Val Ferrelly replied to Beck, "Its nothing to do with self control and everything to do with a lack of gun control." This, of course, is another false claim. A soul doesn't kill 20 children in a rampage unless that soul has a gun. A real conversation has to start with the broken mental health system that’s failing our young people. We have to talk about teen suicide–there are 12 a day–depression and bullying. We have to talk about the over-medicating of our children and a lack of access to health care and resources. Instead, we get the knee-jerk call for more gun laws on the left and the knee-jerk defense of guns on the right. That’s not a conversation, that’s a stalemate. ”We will have to change,” the president told us from Newtown over the weekend. And he’s right. We all want to prevent another tragedy. So let’s have a real, serious conversation about it. For once. That, at least, makes more sense than Beck's tweets; but she did not mention that improved mental health care will require revenues to insure all people have access to good mental health care when they are in need. Fact is, the Framers of the Constitution could not have predicted how weapon technology would transform American communities and cites into combat zones and killing fields. Just as we regulate driving and automobiles, we need to regulate guns and have the owners licensed to possess them...at least. On December 18th on The Last Word, Lawrence O'Donnell conveyed a message about the NRA's Wayne LaPierre that goes for Mr. Beck and everyone like him who takes a dangerous and reckless position on domestic arms control, or more precisely, the lack thereof.